A spinal cord injury may result from an auto accident, a fall, or even a traumatic birth. No matter the cause, its effect on both the victim and his or her loved ones can be devastating. Often, victims of spinal cord injury incur medical and other care costs that last a lifetime. 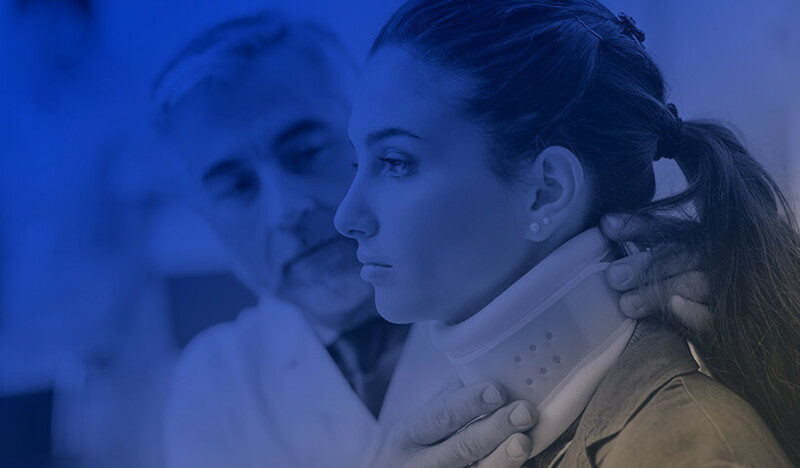 Contact our Seattle injury law office if you or a loved one have been injured in an accident and suffered an injury to your spinal cord, you may be eligible for compensation. How can I be compensated for my spinal cord injury? What’s a Spinal Cord Injury? Your spinal cord is a bundle of nerves that’s housed within your spinal column. These nerves carry messages throughout the body and control body movement and sensation. If your spinal cord is damaged, you may be paralyzed in some part of your body, depending upon where the injury occurred. Since the spinal cord is such a complicated and integral part of our bodies, damage can lead to conditions that affect our breathing, ability to regulate temperature, bladder, and other vital body functions. Spinal cord injuries can lead to a wide range of serious issues, as well as permanent health problems. Motor vehicle accidents, which account for 42% of all spinal cord injuries — speak to a Seattle car accident lawyer if you were involved in a car wreck that resulted in a spinal injury. If you or a loved one has sustained an injury to the spinal cord, you may be able to pursue a lawsuit by proving negligence or establishing a product’s defect. If you want to pursue a lawsuit against a private entity for an injury to your spinal cord, you must prove negligence. For example, a doctor may have neglected to care for an injury that resulted in a worsening condition. Another example might be someone texting while driving and collided with you, causing permanent spinal damage. Product Defects. Some spinal injuries are the result of faulty products. Examples might include faulty seatbelts, a design flaw in a staircase, or airbags that didn’t deploy in a collision. In this case, you may choose to pursue a lawsuit against the party who designed, manufactured, or sold the defective product. When you discuss your case with our team, we can decide the best approach for you or your loved one. Between medical bills, physical therapy, and loss of income, a spinal injury can ruin a family’s finances – just in basic care. Most victims of spinal cord injury (and their loved ones) want to know what a settlement will do for them in the long run. The point of a personal injury settlement is to provide financial security and take care of both short- and long-term costs. In the case of spinal cord injury, compensation generally goes far above and beyond paying your medical bills. Much of a settlement will likely be for general damages, or pain and suffering. You may be able to secure the funds to pay for ongoing health costs, assistive devices like wheelchairs, and necessary modifications to your home, like access ramps or railings. At Colburn Law, we know that no amount of money can return you or a loved one to your pre-accident condition. But a spinal cord settlement will help you pay for your ongoing costs. Contact our Seattle personal injury law office to schedule a free review of your legal options.